The SolidWorks User Group Network (SWUGN) will be holding a SWUGN Technical Summit September 20, 2011 in Nashville, TN. This is a can’t miss event for any SolidWorks User in North Alabama! 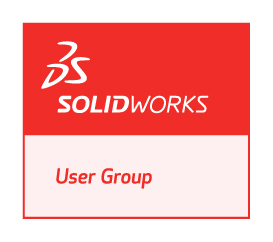 This one-day training and networking event is hosted by the SolidWorks User Group Network and features technical presentations by SolidWorks Program Managers and local SolidWorks experts. Two technical tracks include sessions on general SolidWorks functionality and specialty sessions on such topics as PhotoView360, PDMWorks, and Simulation. The cost is only $40.00 and includes sessions and meals. Don’t miss out on this chance to experience an event similar to SolidWorks World – but without all the travel! If you have any questions about the event, feel free to let me know. I hope to see you there! The North Alabama SolidWorks Users Group (NASWUG), Dynetics, & Trobotics Inc. will be sponsoring a BEST Robotics SolidWorks Training Class this Saturday August 21, 2010 at the Calhoun Community College Campus in Decatur, Alabama. We will be providing hands-on SolidWorks training for North Alabama Schools participating in the BEST Robotics competition this year. The training will take place at the Noble Russell Building, Room 115. Class instruction is already covered, but we are looking for volunteers to help guide the students as they follow along in the class. If you are interested in volunteering your time to help in the training sessions, please send me an e-mail (ricky@naswug.com) There will be a morning session (9:00am -11:30am) and afternoon session (12:30pm – 3:00pm). Any time you have is greatly appreciated, even if you only have time to stay for one of the sessions. For more details, including directions to the campus and building, click HERE to view the event flyer.